See Rattunde in Hall 6, Stand E-40 at Tube Fair in Dusseldorf, April 7-11, 2014! Rattunde Corporation, a German-based manufacturer of finished length tube and solid bar production, today announces the introduction of the ACS® + CFMtwin machine, the newest member in the company’s family of tube production systems. 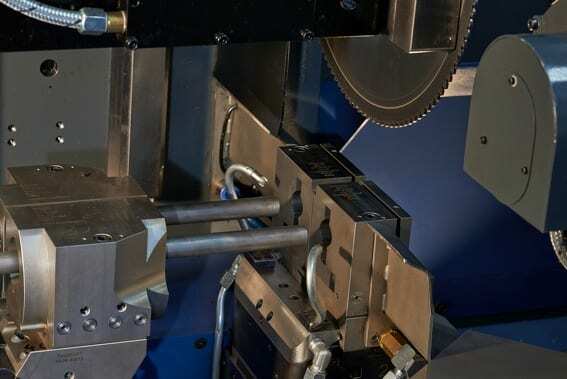 Equipped with a specially-designed twin machining head that fits onto the standard head, this new machine can cut two tube or bar sections simultaneously, then machines both ends of both workpieces, also simultaneously. 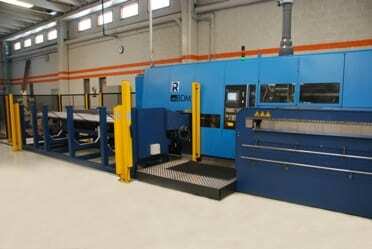 This new Rattunde machine can produce up to 5000 finished pieces per hour. 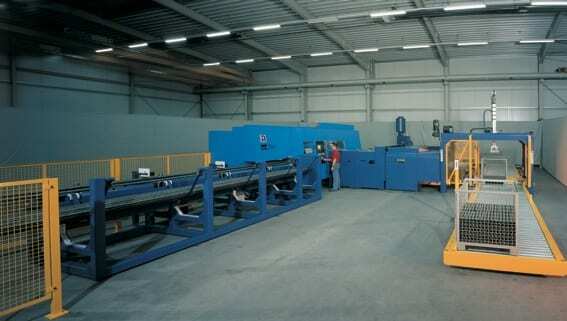 The option also exists for single tube or bar production on the same machine. The ACS® + CFMtwin machine, when in twin mode, can process two workpieces of 10mm to 41.5mm OD each into finished lengths from 10mm to 1500mm. Example: 21mm OD x 3.5mm wall x 45mm length cut from a 6.5 meter mill length of stock material, based on carbon steel. 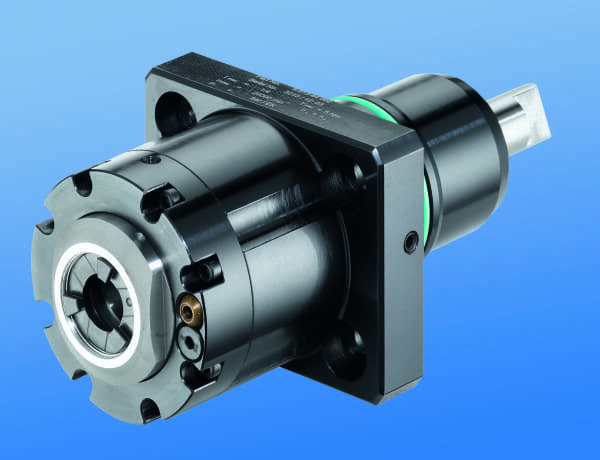 When the twin head is removed, the standard machining head can process a single workpiece up to 105mm OD. 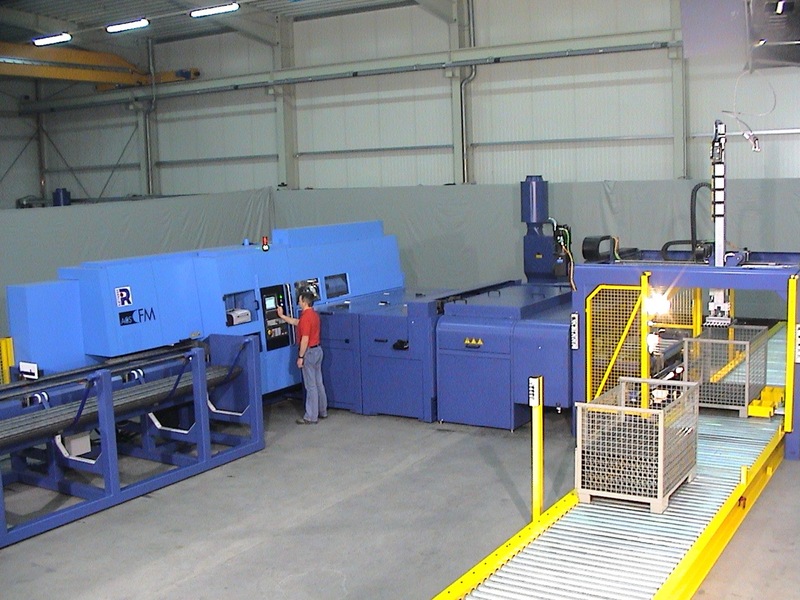 In addition to the twin workpiece processing, this new Rattunde machine offers the OEM or production house all the capabilities found on Rattunde’s ACS® family of tube and bar production systems, including secondary brush deburring, end machining (chamfering and facing), inspection, washing, drying and robotic packaging. The entire machine and all auxiliary workstations are motion-controlled by CNC from a single operator station for maximum efficiency. The ACS® + CFMtwin is built on the same platform as the existing and popular Rattunde ACS® + CFM and ACS + CFMcurve systems. Even when processing in twin mode, the setup time for a new job can be under 15 minutes, according to Rattunde engineering. 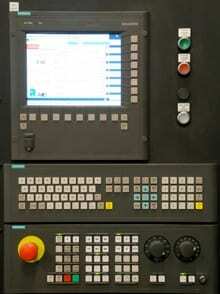 Other standard features on this new Rattunde machine include data management on all workpiece parameters (approx. 10,000 workpieces), data logging of every part produced for full part traceability, material lead and end edge detection for minimized crop cut and tag end. All operating limits are set from the control panel, with continuous tool break monitoring for the saw blade and all cutting tools. Because the machine offers essentially double the production in the same machine footprint, up to 40% energy savings have been documented on a 25mm OD x 3mm wall x 42mm long piece from a stock length of 6 meters in a typical batch count of 45,000. UPDATE! See the video of Rattunde at FabTech HERE. For over 20 years Rattunde has been designing and building innovative solutions for tube and bar sawing and post cutoff value added processes. From mill length tube and bar to finished product; cleaned, inspected and neatly stacked, Rattunde’s fully automatic ACS Production Systems get the job done quickly, precisely and at lowest cost per part. 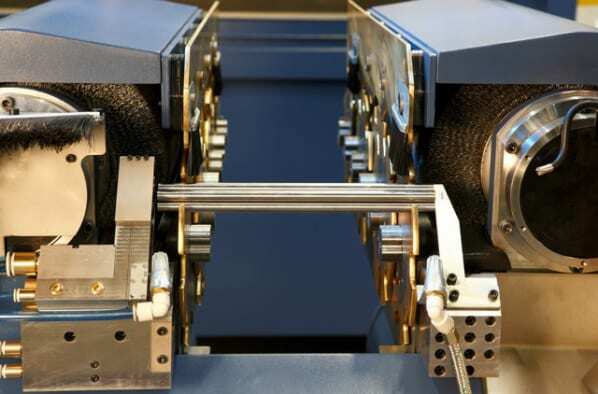 Whether you are looking to simply recut mill length tube and bar, recut and brush, recut and end finish or recut and machine complex features, including threading, there is a Rattunde ACS Production System suited to your needs. Do you need 100% inspection, washing and drying or maybe automatic stacking of your finished parts? Rattunde’s ACS Production Systems can be fully integrated with any number of Rattunde’s inspection, washing and drying or automatic stacking systems. New Rattunde facility underway in Caledonia Township, Michigan, near Grand Rapids, due to open in April, 2014. 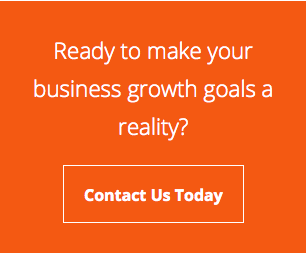 Rattunde Corporation, a German-based manufacturer of finished length tube and solid bar production systems, has been operating in the North American market for over seven years. The company’s success during that time has resulted in today’s announcement by Rattunde Corporation President Richard Stadler of plans to build a 30,000 square-foot facility near the company’s current location in Grand Rapids, Michigan. 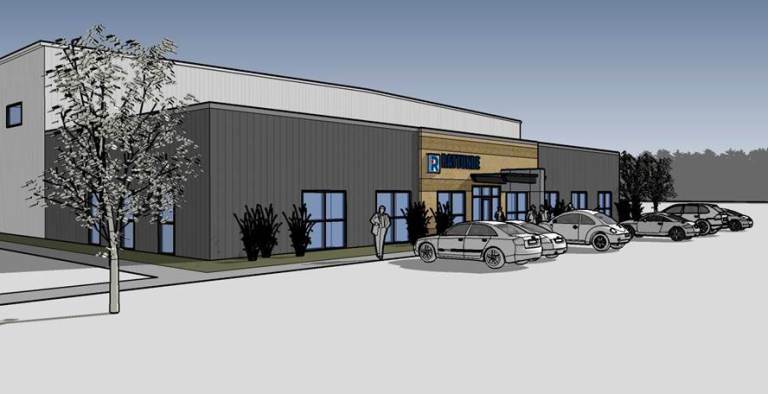 14 acres of land have been purchased by the company in nearby Caledonia Township and work has begun on the new facility, scheduled to open in April, 2014. The plant will continue to house the North American sales and service operations and will allow for expanded spare parts inventory and manufacturing operations, including the production of tooling and various machine components. Area within the new facility will also house a technical center with a machine onsite at all times for demonstration and training. Future plans call for an expansion of the building to over 100,000 square feet, enabling Rattunde to produce their entire finished length tube and solid bar production systems here. This decision was reached, after an analysis of the current and anticipated business needs of the company, according to Stadler. “Our growth in North America has been rapid, though not unexpected, due to the unique nature of our equipment and the reliability and performance characteristics of our machines.” Stadler further noted that solid growth of the company into diverse markets throughout North America made the new facility a logical choice. Concurrent with this development, Rattunde has expanded its workforce with technical service and administrative personnel. As Stadler explains, “Whenever a machinery company grows quickly, there’s an ever-present need for more customer service and technical personnel. Of course, new people must be found and trained.” But, Stadler went on to explain that rapid growth also means working smarter. Rather than waiting for a customer to reach out to Rattunde in a time of need, Rattunde is proactively sending technicians to the customer and performing comprehensive machine inspections, identifying and correcting small issues before they become large ones. In the end, Stadler says, “This new facility will solidify our North American presence in the high-volume tube and solid bar production markets, thus benefiting our current and future customers in many ways. 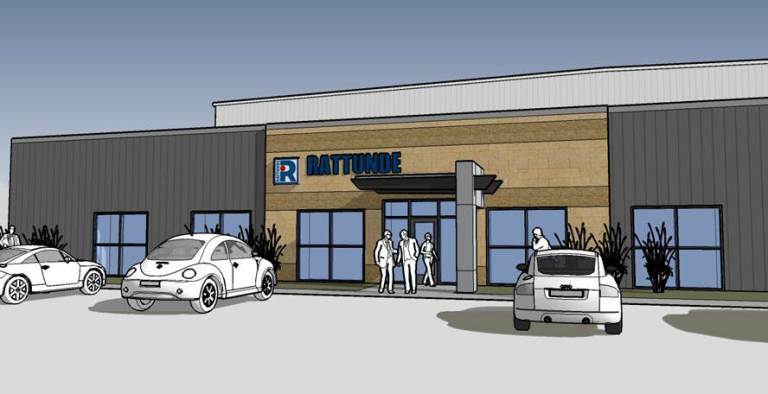 It’s a purpose-built building, with a forward-looking eye on all we will need to build our machines and systems from the ground up.” Rattunde will continue to occupy its current facility until completion of the new facility. A walking tour of Rattunde’s unique tubemaking machinery, provided by company president for North America, Rick Stadler. Check out all the machining functions it can perform! 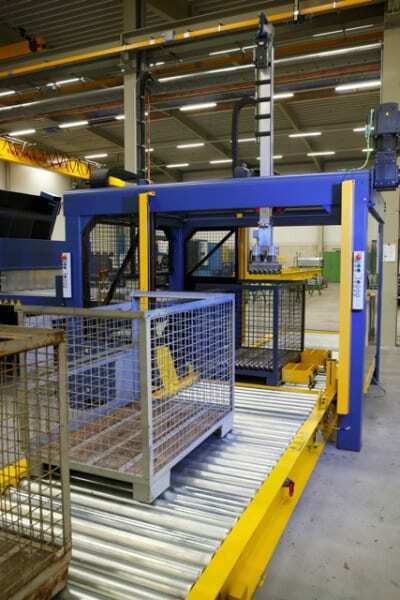 Rattunde delivers ready to install products to the assembly line for its customers. Rattunde Corporation introduces the ACS + CFMcurve integrated sawing and machining center, an exciting new technology, at the IMTS show, McCormick Place in Chicago, from September 10-15, in the North Hall Booth #6737. A fully operational system will be producing a variety of parts, demonstrating the fully automated flexibility of this manufacturing center. The ACS Sawing Machine is the new industry standard for cold saws. It utilizes a proprietary sawing algorithm with servo motor controlled feed to continuously adjust critical sawing parameters during each cut. The results are the fastest sawing times, best surface finish and longest blade life available on the market. The CFMcurve machining center is a patented Rattunde process that simultaneously machines each workpiece end, using 12 independent servo-controlled axes. 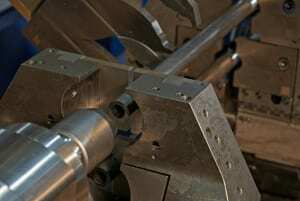 Machining options include: threading, boring, profile turning, grooving, radius edges and angled chamfering. Programming screens guide operators for quick setup on even the most complex part geometry. No special programming is required. Precision parts are made in one continuous process with no operator intervention. Bundles of mill length stock, up to 16.5 meters (54’) long, are placed in an automatic loader, individually separated and fed to the sawing process. Cut parts are then transferred to the CFMcurve machine for precise finishing. Utilizing advanced CNC controls, linear ball screws and servo motors, all mechanical motion is seamlessly integrated into the machine design for full process control. The technology incorporated on this manufacturing center delivers production rates and quality unmatched by the competition. For example, a tubular component of 70mm diameter, wall thickness of 5mm, material type ST52-3 BK, with a length of 150mm, machined with a 30 degree chamfer on the ID & OD with a faced end has a saw time of .96 seconds, a machined time of 1.86 seconds and the machine can produce 1,820 parts per hour, inspected for length and automatically packaged. Cut length tolerance of +/- 0.15mm at 1.67 CPK and a machined length tolerance of +/- 0.05mm at 1.67 CPK are maintained with consistency. The operator interface saves part files for instant recall when changing parts. Servo motors move all cutting and machining tools to their exact positions and implement saved parameters. No tooling change is required in the ACS Saw within a diameter range of 10mm; there is a 5mm diameter range in the CFMcurve. 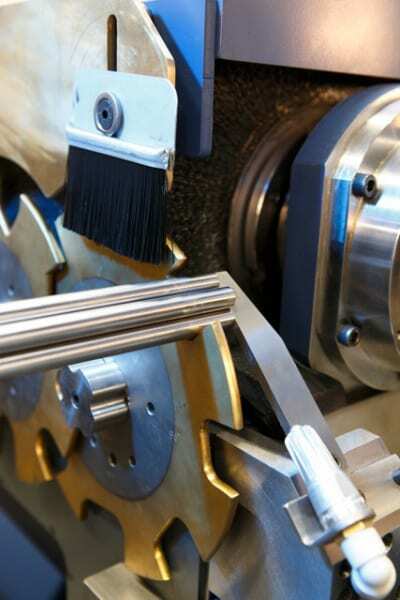 Tooling change for the complete system takes less than 20 minutes, when necessary. All critical sawing and machining parameters are monitored and controlled. Clamping forces and position, saw blade torque and vibration, plus machining insert torque are continuously displayed and monitored. Operating limits are set and machine functions stop when they are not met. Saw blade and tooling insert wear is predictable and consistent. Key data for each part produced are stored in memory for statistical evaluation. All guesswork is removed for the operator. 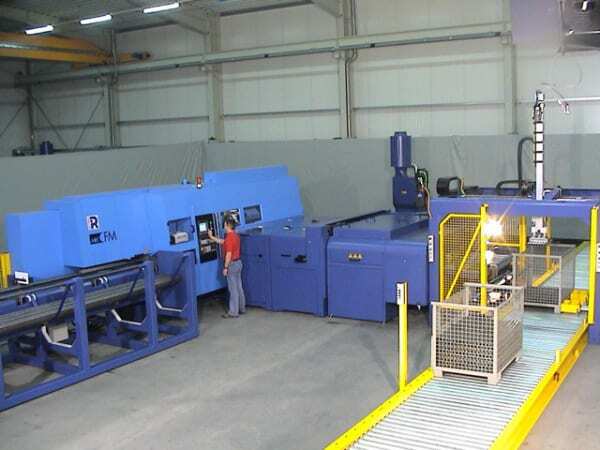 Rattunde sets a new industry standard for manufacturing with this machine, replacing slow and unreliable processes with a complete manufacturing center. Bar feeding lathe machines rely on a slow cutoff process, restrict the length of incoming stock and are not always capable of finishing both part ends simultaneously. Cutting in a conventional saw, dropping parts in a bin and eventually loading them to a conventional machining center is time consuming, labor intensive and creates excess inventory with a loss of process control. Additional processes, engineered and manufactured by Rattunde, are easily integrated with the ACS + CFMcurve, including: part inspection stations, washing and drying, automatic packaging and automatic container changing, all available to further automate customer manufacturing. The system being exhibited at IMTS will include part inspection and automatic packaging. The ACS + CFMcurve is available in three models with diameter ranges from 10mm to 102mm, 10mm to 136mm and 10mm to 169mm, with finished part lengths from 10mm to 3500 mm. All material types can be processed.